The staff at this location are awesome!! Hailey is wonderful! She patiently walked me through the whole process. They even let you use their moving truck for free!! Thad called to make sure everything was great with our move and unit Gotta love great customer service!! I have been doing business with LockTite for over a year, the team is always very friendly amd as important very helpful. Thanks Thad, Hailey and Sam for the great service. The new Office looks great. Although the lease was an issue I will say that the Conroe location did provide excellent customer service. They heard our grievances and quickly gave us a call to see if they could do anything. No issues what so ever with the customer service. Fantastic location for storage. They always called me with any issues and were responsive to queries. Very friendly and nice facility. I would gladly recommend the LockTite Storage Conroe property to friends and family. I know the owners who have been long time friends - people of integrity. I have also enjoyed getting to know the on site staff, who have always been helpful and gone the extra mile to help address my particular needs. These are the words (above) I used in the review I wrote several months ago. The measure of a product or service is based on not a one time snapshot but over time. My comments above remain true. The staff continues to go the extra mile to help address my particular needs and continues to hold my recommendation. Great place to store your stuff for great prices. Friendly staff. I have rented here for years! You might think "Storage is storage" but storing at Locktite is an experience. Haley and Thad find creative ways to wow you. So many ways from their attention to detail to bringing water to you when you are moving in to answering my mundane questions. They are so helpful. I highly recommend them. They elevated service to a whole new level. Thank you guys. Thank you. Thad was very helpful and polite! The facility is very clean and safe! Would recommend to anyone needing a great place to store your things! 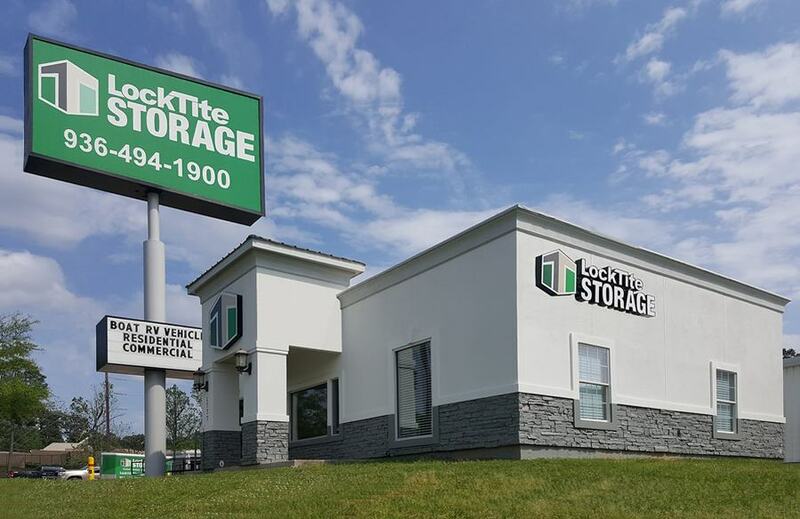 Thanks for everything locktite storage! Great place to store your stuff! The property is very secure and very clean! The staff are very friendly and helpful, plus the free usage of moving truck and trailer is a HUGE perk that most other places don't offer! We have been very pleased here! When we had to shift things around & get a second unit, then switch it, they were VERY accommodating & kind. 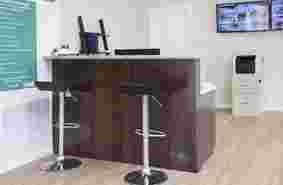 Great space options, easy to maneuver & front desk very helpful. Would store with them again!! I recently rented a 10x15 indoor climate controlled unit and everything was super easy and extremely customer service oriented. Jude was of invaluable assistance! Actually, Id recommend this place just because of her if everything else wasnt top notch. The premises are clean and the access is safe and secure. Service oriented storage busines! Jude in the front office was welcoming and took the time to make sure I had the right size unit for my needs. I have another unit at a competitor and will consolidate here. You dont need to look anywhere else - you will be happy here. Great storage facility. Very friendly people. Great place for storage. Staff is super friendly and helpful. One of the main reasons why I decided to go with them. Only downfall I see is pricing. I won't say where but my friend goes to another place. Could fit a car in his unit if he wanted to and pays half of what I pay. I could put maybe one street motorcycle in mine and some boxes. It's a small unit but I am happy with it. Nice and clean. Conroe is one of the fastest-growing cities in Texas. Like many Houston suburbs, Conroe is booming, and communities are being built quickly to support the influx of families to the area. Though Conroe is expanding, it's still got some old-time Texas charm with plenty to do and see throughout town! If you're looking to immerse yourself in the art scene, Conroe Art Gallery is the place to go. This gallery frequently features local artists, and some exhibitions even provide funding for student art classes. Every month Conroe Art Gallery has a new artist display their work. But it doesn't stop with local artwork; the Gallery also hosts events that showcase jewelry, home decor, fashion items and much more. Stop by to see the talent the people of Conroe have to offer! Conroe ISD serves the Conroe area, with elementary, intermediate, Jr. high, high school, and private schools. The elementary schools include Geisinger Elementary, as well as Reaves Elementary, which happens to be our next-door neighbor at LockTite Storage Conroe. Cryar Intermediate School, Peet Junior High, and Conroe High School are also within a 3-mile vicinity. Primrose School of Conroe, a well-known local private school, is just down the street from our location on Longmire Rd. Going to Star Cinema Grill is always a treat. Reserve your choice seat online, have a tasty meal and recline in comfort. While waiting for your movie to start, you can browse the menu to choose a snack before the movie begins. We recommend ordering loaded potato skins or grilled chicken with baked macaroni and cheese--you won't be disappointed. Rainbow Roller Rink is a blast from the past! Skate the night away to music, glide on the rink floor with the classic roller skates or rollerblades, and go around the sparkling disco ball all night to your favorite songs. 300 Bowl is a local bowling alley for fun with the whole family. They have weekly specials such as Rock N’ Bowl, $2 Wednesdays, and Sunday Family Time. They offer ramps and bumper-cars so your littlest ones get to participate in the fun. No matter what food you’re in the mood for, Conroe can satisfy. Looking for some delicious Italian? Joe’s Italian Restaurant is a tasty choice for pizza, pasta, subs and much more! While you are eating, enjoy the music of Frank Sinatra playing in the background. For Chinese cuisine, Hunan Village is conveniently located right off of I-45. Some of their most mouthwatering dishes include their Steamed or Fried Pork Dumplings, General Tso’s or their House Fried Rice. This quiet restaurant has very attentive staff who go above and beyond for you. For a great slice of pizza, head down to Russo's on Highway 105. This New York style Pizzeria has the know-how on making a great pie. While pizza is their specialty, they also have some wonderful pasta dishes such as their Fettuccine Alfredo. After you've finished your meal, top it off with some of Russo's Tiramisu or Big Chocolate Cake. At breakfast visit The Toasted Yolk Café. It has many unique dishes and wonderful service. It is also an excellent choice for lunch and dinner. Let the cake settle in by visiting Kasmiersky Park. This 10-acre park is fun for the whole family. There is a full playground for the kids, walking trails for the adults, and a skate park for teens. You can even bring your furry friend because Kasmiersky offers a large fenced in dog park. LockTite Storage at Conroe has non-climate and climate-controlled units, breezeways, open parking and covered parking. We are also the only facility in town that has carpeted climate-controlled units which mimic the interior of your home and create the perfect environment to store your prized possessions! At LockTite Storage, we go the extra mile to provide quality customer service. 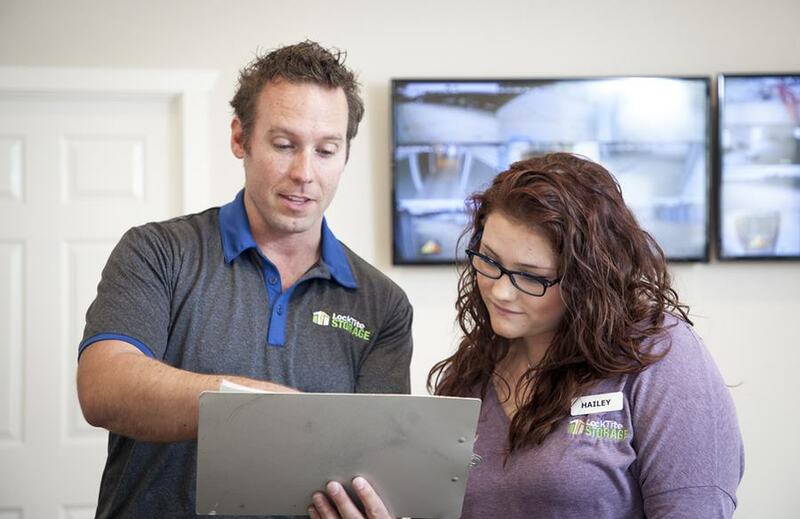 Whether online or in person, we work hard to make sure every customer who comes to us experiences great service. We deliver premier local storage at an affordable cost. Our Conroe location provides free use of our 14’ moving truck, as well as a fully enclosed 12’ cargo trailer to customers during move-in and move-out! You read that correctly: Our truck is FREE to use for up to 50 miles per day, and our trailers are also free to use with no mileage limit. We provide multiple types of dollies on-site to make transport, loading, and unloading easier. LockTite Storage also provides a complimentary lock to all new customers. Our Conroe facility is located on North Loop 336 W, next to Reaves Elementary and just down from Hwy 105. Location is essential when looking for a storage facility. Our location is near HEB, Kroger, Aldi, Wal-Mart, Target and many other retailers, convenient to many of your regular trips - saving you time and money.